Thom Brooks, Dean and professor of law and government at Durham Law School, writes on the latest development in the Brexit saga. Theresa May’s attempt to secure parliament’s approval for her Brexit deal this month has been dealt an almost certainly fatal blow. In a ruling that took the government by surprise, the speaker of the House of Commons, John Bercow, refused to allow a third reading of the prime minister’s EU withdrawal motion, on the basis that parliament had already rejected it twice. May had planned to hold a meaningful vote on her deal for a third time in the coming days after losing two previous votes by the kind of margin which might normally sink a government. With less than two weeks remaining before 29 March, the government is now scrambling to keep the Brexit deal alive. Parliamentary reactions to Bercow’s intervention were predictably mixed. Tory MP James Gray was said to be “absolutely furious“ with the speaker’s ruling, after having declared he would back May’s deal this time after rejecting it in the last two votes. The solicitor general, Robert Buckland QC, described the situation as a “constitutional crisis“, piling the pressure on the EU to offer “new solutions” permitting the government to hold another vote. Gray and Buckland’s Conservative colleague Sir Bill Nash disagreed and said Bercow’s ruling “made enormous sense”. The rules of Commons procedure are spelled out in Erskine May’s seminal Guide to Parliamentary Practice, which was first published in 1844. May was a Commons clerk and regularly updated editions have helped successive parliaments navigate parliamentary procedures and its various conventions. In the current example, the prime minister has already tested the will of the House of Commons more than once with the same motion and thus cannot do so again in the same session, according to Bercow. Moreover, whether or not a motion is substantially different is for the “Chair” (i.e. the speaker), not the prime minister, to judge. While the convention may be 400 years old, there are several more recent examples of it being followed. Legally, Bercow’s decision is correct. While it may seem new to have to rule on how many times in a single session a government can try to pass the same motion, the only thing that is actually unique in 2019 are the circumstances of a deeply divided minority government which has been left effectively rudderless by external events. The government and its supporters may now try to castigate Bercow’s intervention as somehow anti-Brexit. However, I very much doubt the public will sympathise with what appears to have been Theresa May’s only strategy for getting an unpopular deal through the Commons: namely, holding votes again and again, closer and closer to the wire, using the threat of an unwanted and highly risky no-deal withdrawal to win over critics. In any event, this strategy is now in political tatters. The only legal way out for the government is to offer a new motion that is substantially different, and to find a way to do that with just 10 days left to go. However, any change to the motion carries with it the risk that it might scupper what has already been agreed with the EU and so end up being a wasted effort. Alternatively, the government could link the motion with holding a second referendum. In other words, offer that May’s deal would be enacted only if it wins a future popular vote (if it doesn’t then Brexit will be stopped). I’ve argued for this previously and it mirrors the proposition put forward by Labour MPs, Peter Kyle and Phil Wilson. This would almost certainly be sufficiently different to get the green light for a new vote. Such a choice would be likely to secure EU support in terms of granting an extension since it would mean that either the UK remains a member (the EU’s likely preference) or, if not, that we keep to the deal agreed with May (the EU’s second choice). The only other option left beyond crashing out of the EU this month without a deal would be simply to cancel Brexit for now. This is unilaterally in the government’s power up to 29 March, though seemingly not in their political comfort zone. In short, the government should not have been caught by surprise. If it intended to create a Brexit showdown in parliament, the Tory’s whips office should have had a better grasp of how to achieve it beyond simply assuming it could run down the clock. Theresa May and her party may be the government (for now), but they are anything but in control. This legal bungle is the latest example. 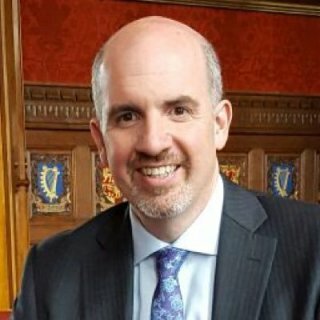 Thom Brooks is Dean and professor of law and government at Durham Law School. This article first appeared in The Independent.